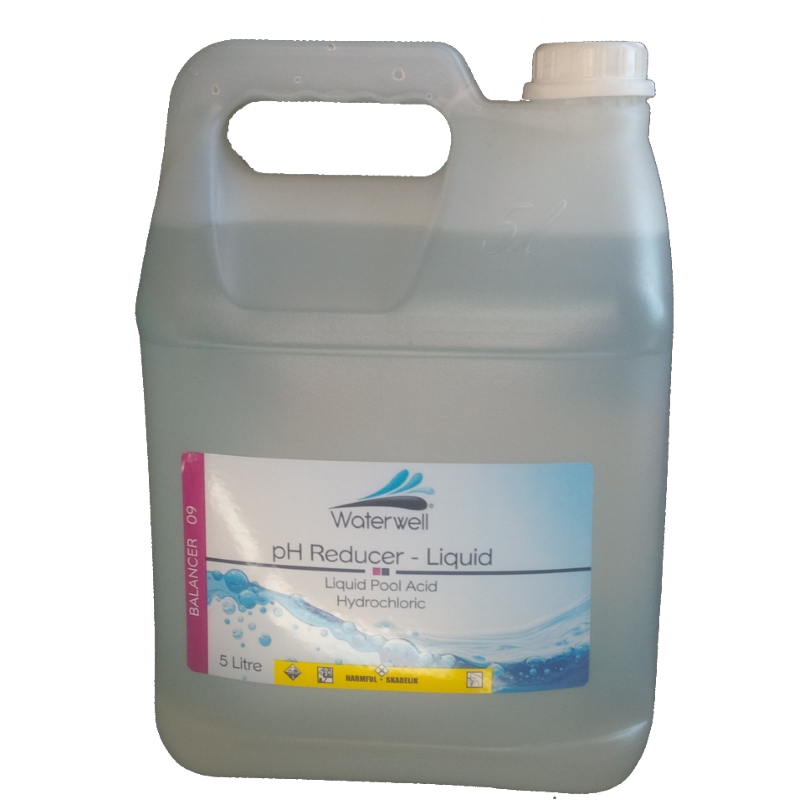 pH Reducer Liquid is a liquid acid that reduces the pH level in swimming pool water. Use when pH level is greater than 7.6 to adjust to the ideal level. Ideal pH level: 7.4 - 7.6 for all swimming pools. High pH levels in swimming pool water can cause bather discomfort, the water to be cloudy and promotion of scale formation. Add 70ml per 10 000L of pool water at a time. Dilute the required amount of acid in a plastic bucket of water and pour solution around the edges of the pool. Circulate pool water for at least 4 hours before retesting the pH. Maximum dosage at any one time is 200ml per 10 000L of pool water.